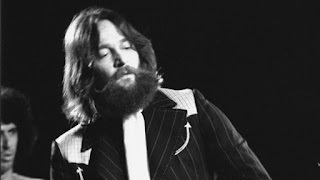 Today in the 'rock room' plays a beautifully balanced and crispy Pre-FM soundboard recording hailing from the King Biscuit Flour Hour and featuring 'Chicago' live in Louisville, KY June 12, 1974. Touring in support of their most recent release Chicago VII, this recording finds the original band line up still intact and still disseminating the 'best rock and roll with horns' around. The LP Chicago VII contained not only a blend of the bands jazz excursion, but a glimpse of their more middle of the road expressions of pop. This era signals the beginning of the band's movement to a more friendly radio appeal. 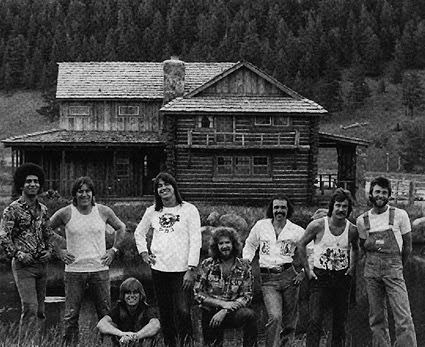 While always a 'hit' band, Peter Cetera started to take on more of the lead vocal duties moving the band toward a 'ballad' oriented sound while Terry Kath's leadership in the band started to wain slightly due to his need for an additional musical outlet as well as some creeping substance abuse issues. This recording though, finds the band in prime form, blasting through the hits and playing the jazzy extended improvised favorites with impressive panache. The quality and performance contained on this recording could easily qualify for an official live concert release. What I find most endearing about this recording it that it combines 'Chicago's noncommercial cosmic funk forays into jazz fusion, in addition to their accessible mid 1970's hit songwriting attitudes which in turn, combine into a enjoyable listening experience featuring the best the band has to offer. 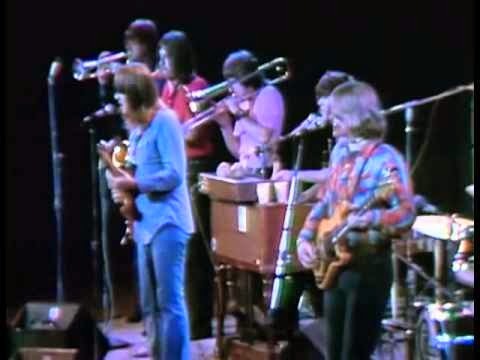 The concert begins with an enthusiastic MC greeting and then the band begins 'Introduction', the opening track off of 1969's Chicago Transit Authority written and sung by Terry Kath. The band screams through the multifaceted changes of the song, Danny Seraphine uses octopus arms on his way across the drum kit, completely in charge of the dynamics of the band. Midway through the song Kath takes his first stratospheric solo of the evening, Seraphine increases the tempo with improbable tempos as Kath noodles through a wah-wah'd duel with the trio of horn players. An explosive opening and a perfect representation of the power and grace of the band. 'Call On Me' follows and is one of the single releases of the current 'Chicago VII', and acts in total contrast to the preceding number as far as attitude, 'Call On Me' features a more accessible vibe but also retains the quintessential 'Chicago' punch increased exponentially by the addition of percussionist Laudir de Oliveira. The song sizzles like bubblegum on black asphalt toward its conclusion with a plethora of poly-rhythmic cymbal hits and roly-poly horn lines. Moving from a current hit to a past glory, the band begins 'Saturday In the Park' a error free version of one of the bands most endearing songs. The white boy funk that influenced a multitude of horn bands is contagious as Lamm and Cetera harmonize perfectly over the choppy groove. Cetra's bass playing on this number shines with impressive scurrying lines. The bluesy 'Something In This City Changes People' follows and spotlights the velvety 'Chicago' vocal blend. Again, there is some fine bass playing by Cetera, leaning into Lamm's clean sheet piano backing. This track is vast and spacious relying on piano, bass and light percussive backing, drawing greater attention to Lamm's lyrics. 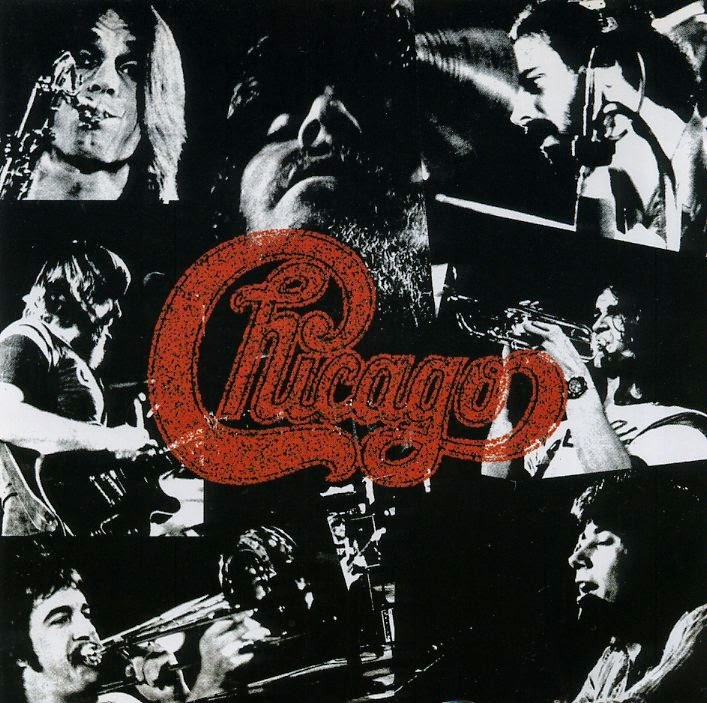 It's songs such as this that could only be created and performed by 'Chicago', special elements containing the unique layered vocal blend, subtle jazzy changes and windy soloing. Laying it down dirty or clean, whatever the muse requires. After a commercial break on the recording, the band picks up presumably still in the first set with 'Beginnings' a single of the bands debut Chicago Transit Authority LP. 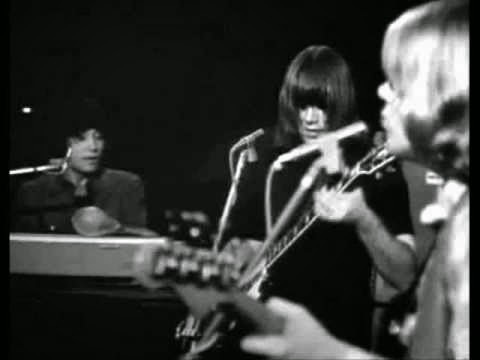 A delicately groovy Lamm composition, built around Kath's funky guitar strums the song increased its danceability and instrumental prowess when performed live. The established groove peculates while the horns of Pankow, Parazaider and Loughnane intertwine into a knotty aural twine. Impressively stretching, the ending of the song inflates, pushing and popping seams, before reaching its final destination. Closing out the first half of the concert comes one of my personal favorite 'Chicago' tracks, 'Ballet For a Girl In Buchannon' a multifaceted 'Song Suite' written by James Pankow and featured on the bands second 1970 LP 'Chicago'. Made up of the song pieces, 'Make Me Smile", 'So Much To Say, So Much To Give', Anxiety's Moment', West Virginia Fantasies', 'Color My World', 'To Be Free' and 'Now More Than Ever', the song is a diverse and varied conglomerate of 'Chicago's compositional prowess and instrumental attack. 'Make Me Smile' and 'Color My World' were detached from the song cycle for release, and are popular tracks that stand sternly on their own. 'Make Me Smile' features Kath's rough and ready vocals and this version flies at a high velocity, Cetera plays a warm fuzzy counter melody to the thunderous drums and punctuated horn stabs. Kath takes his second big and stringy solo of the evening, breathlessly dropping into 'So Much To Say's' descending changes. A flag flying and regal syncopated horn breakdown opens the door to the the instrumental section "Anxiety's Moment', where scales are climbed and descended, beats are shifted and the spirited lungs of the horn section breath deeply through marvelous soundscapes. Again the suite changes shape, morphing and dropping into the tender Kath reading of 'Colour My World', another 'Chicago' classic tucked into the center of this rapt musical amazement. Music box piano and airy flute make up the the bed for Kath's emotive vocal expressions. Before you realize it Seraphine takes a momentary drum breakdown, initiating another tempo change in which Kath begins to spray phased jittery chords, Cetera pounds out guttural bass lines and the aesthetic turns atonal and entirely psychedelic. Dissonant horn licks and a sustained and haunted organ line encourage Kath, Seraphine and Cetera enter a flashing and rotating central jam section, the tension increasing in a musical tug of war that tugs at the fabric of the song. When the song cant possibly stand the pressure anymore,'Make Me Smile' appears again breaking the vacuum seal and reprising its earlier appearance,bringing the complex musical cycle full circle. The band ends the movement to resonating applause that can be heard clearly on the recording. An amazing extended ending to a well played and varied first set of music. The second set of music is introduced as 'People' music and features the Lamm composition 'Dialogue I and II' featured originally on Chicago V. Kath and Cetera swap lyrical statements initiating a discussion between characters spotlighted in the 'dialogue'. Beginning as a groovy swinging funk jam containing muted percussive strums by Kath, the song eminates a felling of hopefulness as the principals of the song discuss the state of the world they live in. The sonic stew begins to swirl musically and vocally when Kath steps forward to display perhaps his finest guitar work of the evening. Winding around the collaborative vocals Kath's guitar harasses the horn players, and initiates the band into higher musical stratospheres. The band locks into a horn driven theme in which Kath stretches sustained sheets of thick guitar riffs over the top of. Kath hits on something that feels good, a melody which he strokes like a friendly cat until this movement reveals a drums and vocal breakdown where overlapping lines of 'We can make it happen' by all the principals of the band build to a celebratory party atmosphere shared by band and audience alike. Top notch stuff. The closing of this first set moving into the opening of the second set of music spotlights two extended and prime portrayals of some of the best 'Chicago' you could ever search out. More remarkable jamming occurs with the following triad, 'Italian From New York', Hanky Panky' and 'Life Saver' three tracks from the current, at the time Chicago VII and impressively played in the same order here. Lamm replies from the microphone that there will be some 'Experimentation' occurring on the stage. 'Italian From New York' talks tough with an aggressive central riff and tightly squeezed horn lines. Kath plays a strained guitar turn speaking in alternative languages with the hot breath of the horns. The core lick becomes a mantra for Kath and the horns to rebound ideas off of, Cetera gets spunky and the jams falls off of a cliff into a silent abyss that suddenly bounds into the comedic intro syncopation of 'Hanky Panky'. Just as suddenly a swinging jazz theme appears groaning through mournful trombone lines and stitching their way through the created bop. Again, the band flawlessly trace their way in and out of thematic and difficult musical topographical landscapes, perfectly tracing borders until finding the slippery and lubricated transition into 'Life Saver'. 'Life Saver' dives into the deep end without fear, more reminiscent of a 'Band' song than 'Chicago' with its dirty keys and earthy groove. Moist water logged keyboards bob on the horizon, while Kath cuts waves with scratchy scrubbing on his guitar. The horns enter again as the song increases in tempo--- landing the dive into the songs main melody with a ten from all judges voting. As has been the case all evening the band follows this musical maelstrom with a perfectly placed safety net to make sure certain members of the crowd didn't get lost in the experimentation. 'Just You and Me' brings everyone band included back from orbit as the band slinks their way through the James Paknow composed song from Chicago VI. Highlights include Kath's cry baby guitar that gently purrs due to his well timed coaxing. Parazaider also takes a masterful and horny solo over the extended mid-section of the song that stuns my ears, before returning to the more conventional chorus changes. 'Ive Been Searchin So Long' is another recent single from Chicago VII and receives a hearty response from the assembled love struck lovers in the audience. James Paknow takes on the lead vocals for this contemporary big ,obviously a signal of the direction the band was heading. Kath makes the magic happen with a rough and tumble guitar break that injects the song with a hard attitude, as he impressively solos on and on through to the songs conclusion with clarity and grace. The concert closes with two major 'Chicago' tracks, again representative of the groups professional duality, illustrating their ability to compose extended composites of songs both containing pop sensibilities and moving into and through amazing sunburst improvisations. 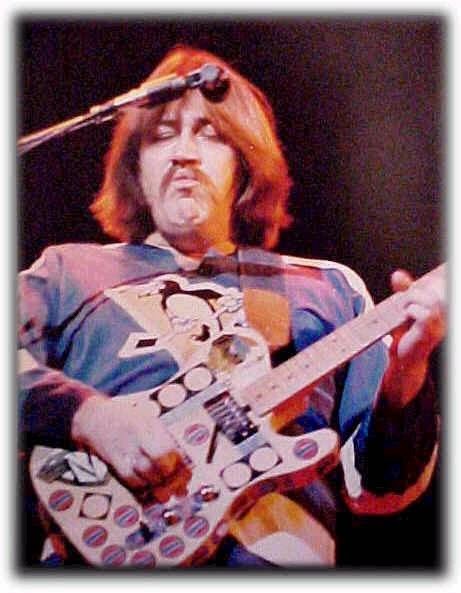 The first performance is a reading of '25 or 6 to 4' which has at its juicy center a stunning Terry Kath guitar solo that almost leaves the rails as it ascends and descends steamy darkened highways of sound. The concerts final number is the addictive Paknow/Cetera number, 'Feelin Stronger Every Day', leaving the crowd with a melody that will reverberate through their heads the rest of the evening. The perfect combination of aggressive rock riffing and slamming melodic singalong, the closer exhibits all of the strengths of the original 'Chicago' line up. The group shifts into double time and everyone extends their necks for the visible finish line. Cetera's bass pops and plunks a rock and roll rhythm, Kath shakes the bottle, Lamm and Seraphine twist the cap and the horns explode all over the walls as the increasing pressure is too much to contain. 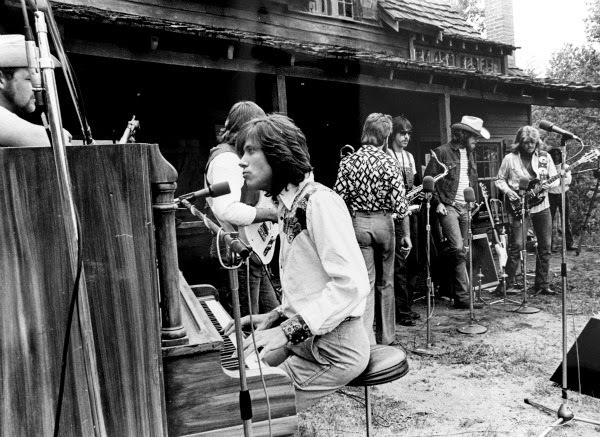 The band has hit the spot and the crowd responds in kind, the King Biscuit announcer states the concerts end while I stare at my receiver in amazement. This perfect soundboard rendering of 'Chicago' in 1974 is an impeccable display of a band who is teetering on a pointed axis of perfection. They contain the innate on stage ability to take off and improvise, as well as return and embrace through their accessible songwriting. The band is able to take their songs to the very edges of their respective elaborate arrangements, while keeping with and returning to more familiar and contemporary thematic interests. Whether you are a 'Chicago' fan familiar with the 'live' catalog ,or new to the wealth of material available from arguably the bands finest era. You will find in this performance the successful combination of fine sound quality, incendiary performance and fantastic songs.